This CD/DVD combo is the ultimate collector's piece - a wonderful tribute to one of Christian music's most influential songwriters. With over 2 hours of never before released materials, both the DVD and the CD include live and studio tracks, old favourites, interviews and song introductions. 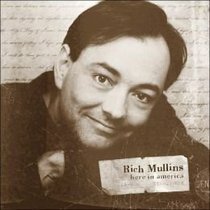 About "Here in America Cd/Dvd"
:This CD/DVD combo is the ultimate collector's piece - a wonderful tribute to one of Christian music's most influential songwriters. With over 2 hours of never before released materials, both the DVD and the CD include live and studio tracks, old favourites, interviews and song introductions.